The Chairperson noted that the intention of the meeting had been to receive the Third Quarterly Report from the Department of Social Development but the Committee would also be receiving a progress report from SASSA as the Committee wanted to be assured that all beneficiaries would be paid on 1 April 2018. The Committee considered the Third Quarterly Report a routine matter. The anxiety was around SASSA so SASSA would present first and, if there was time after the issues had been addressed, the Department could make its presentation. The Acting CEO of SASSA had sent an apology as she was on sick leave. The SASSA Project Manager, was also absent as she was adjudicating a tender. Committee Members expressed dissatisfaction at the absence of the two key drivers of the SASSA programme. SASSA informed the Committee that everything was on track to pay beneficiaries at the beginning of April. There were three payment channels for beneficiaries in April. The first channel was the electronic payments into the personal bank accounts which SASSA had been managing since January 2018. The second channel related to payments using the SASSA cards with pin numbers to access funds from banking facilities. 5.4 million beneficiaries were involved in that channel. The money would be available from midnight on 1 April 2018. The third channel was the cash payments at pay points. The Constitutional Court had granted Cash Paymaster Services (CPS) permission to do cash payments only for a period of six months. Cash payments would be made to beneficiaries at the cash pay points only from Tuesday 3 April 2018 and in the days thereafter. The drawback to the second channel was that the 5.4 million beneficiaries would have to pay bank charges. SASSA was working with Grindrod and National Treasury to transfer funds directly from the SASSA PMG account using bilateral clearing with Grindrod to put the money directly into the SASSA cards. As those beneficiaries were no longer covered by the contract between SASSA and Cash Paymaster Services, Grindrod Bank was charging transaction costs and an account maintenance cost of approximately R10 per month. The current contract with CPS was for cash payments only. SASSA could, therefore, not subsidise any banking charges. SASSA was attempting to make an arrangement so that the Agency covered the bank charges, but that could not be done outside of procurement process requirements. SASSA would be working with Grindrod for three months while the South African Post Office was finalising the new cards for beneficiaries, after which there would be no bank charges. SASSA informed the Committee that there was a legal challenge to the current cash payment contract. One of the bidders had sent a lawyer’s letter requesting that the process be halted. The process was, however, continuing but the matter was being addressed by the Minister. The Chairperson stated that the matter with G4S was sub judice and she did not want the Committee to be involved in the tender processes. At the end of the six-month period granted by the Constitutional Court, all contracts with Cash Paymaster Services, including the final cash payment agreement, would be cancelled. SASSA would, where possible migrate beneficiaries to post office or bank accounts, but there would always be a need for cash payments. SASSA provided an update on the use of biometrics. SASSA had conducted a pilot at four sites on the biometric enrolment process. SASSA staff would be doing the biometric enrolment and so would no longer need CPS to do the enrolment, which would wean beneficiaries from the Cash Paymaster Services/Net1 card. The biometric system would ensure that the correct beneficiaries were paid. When a beneficiary came into an office, that person’s identity would be confirmed immediately through a fingerprint process against the Home Affairs system. The 10-finger information would be on the government system and no longer with a private organisation. The images would be given to SAPO to encrypt on the banking card. SASSA support services would be working over the coming weekend because payment started on Sunday, even though it was in the middle of the long weekend. The call centre would be open on Sunday and Monday and staff could check payments against the software system. Staff would be visible at the big merchants over the weekend and spot checks would be carried out at the bigger ATMs. Additional staff would be deployed to pay points which would start issuing money on 3 April 2018, to address queries or problems. Members were very upset that beneficiaries would have to pay bank maintenance and ATM withdrawal fees. Why SASSA was no longer going to subsidise bank accounts of beneficiaries? Did SASSA realise that R10 was a lot to the beneficiaries? Why had the Committee only heard about those charges that day or and not previously? Why was there no contract with Grindrod? Were beneficiaries with cell phones going to be charged for calling the SASSA call centre? Did beneficiaries know where they had to collect their grants for April? What security measures were in place? Could SASSA explain the R 316 million that had to be paid back to government by CPS? What made SASSA certain that in exactly three months the Agency would be ready to replace Grindrod? At the previous meeting between the Committee and SASSA, Members had observed that about seven or eight of the members of the SASSA executive were in acting positions. The Committee wanted to know how it had come about that so many people were acting. How could they work professionally when they were not permanent? The Committee needed a professional organisation to manage beneficiaries. SASSA attempted to explain what had led to so many acting positions. The presentation spoke about the new structure that SASSA had intended adopting in 2015 in response to the court instruction that SASSA had to take over the actual payment process. As the new structure had not been approved and the situation had changed when government had brought in the South African Post Office, the posts had not been filled. Upon realising that SASSA was not going to go the route of insourcing the entire payment function, the Agency had started to advertise posts. SASSA had advertised twice already and was busy filling posts. Limpopo and Northern Cape had long outstanding posts owing to a lack of suitable applicants. The Limpopo Manager’s post had been vacant since 2009, as had the post of Executive for Corporate Services. The post of Chief Operating Officer had never been filled. SASSA explained that Cabinet made the senior appointments. She also wanted to bring it to the attention of the Committee that appointments were the responsibility of the political head of SASSA, which was why sometimes took a long time. The political head played a key role in the appointment of staff from determining who would sit on the selection panel, to approving the shortlist and chairing the interview panels. That was difficult in the busy schedule of a political head. SASSA informed the Committee that, as the acting positions were usually six-month secondments, officials were accommodated in hotels, but only when they were seconded outside of their own province. SASSA had spent R4 million on accommodation, and R4.5 million on travel costs. The Committee felt very strongly that all of the challenges that SASSA had faced stemmed from the fact that permanent staff had not been appointed to critical leadership posts causing the Agency to be unstable. Did the looseness of the structure conceal a hidden intention? What did the top management raise at the meetings with the Executive Authority? How could posts such as the Corporate Services Executive or Chief Operating Officer be dependent on the organisational structure? What were the reporting structures in SASSA? Were the posts being reserved for certain people? Would South African citizens be appointed? What was SASSA looking for that they could not find a single manager in the country? Why had some provinces been working on short lists since March 2017? The meeting concluded with the discussion on the vacancies in SASSA and a request by Members for a bilateral with the Minister. The Chairperson apologised to DSD for not taking their presentation. The Chairperson welcomed everyone, especially the Department that had arrived early. The Chairperson noted that she had received an apology from the Acting CEO of SASSA, Pearl Bengu, who was on sick leave. She noted that Zodwa Mvulane, the SASSA Project Manager, was also absent. In terms of the Agenda for the day, the Committee would start with a Progress report from SASSA officials that would that would talk to the Constitutional Court judgement of the previous week. The Committee would also be briefed by the Department of Social Development (DSD) on the Third Quarter Performance and Expenditure Report. As a number of Members had indicated their need to leave early to catch their flights, she was not sure whether there would be sufficient time for the briefing. Ms S Tsoleli (ANC) was concerned that the senior management of SASSA had sent apologies. She was unhappy that the CEO was off sick at such a crucial time She stated that Ms Dianne Dunkerley presented very well, and knew everything, but she had been expecting that the Acting CEO and the Project Manager would be there to answer questions in their own capacity and that they would be able to provide answers to questions raised by the Committee at the previous meeting. The CEO and the Project Manager had to be there to be honest with the Committee and tell them the truth about what was happening. She thought that they were avoiding the Committee and not accepting their responsibility. The Chairperson said that the Committee could go back to those concerns later, but it was urgent to hear the report. Those questions could be asked even if certain people were not there or not available. They could deal with the issue of those who were not available at another time. She asked the Acting Director-General of Social Development, Ms Neliswe Vilakazi, if she wished to make a few comments. Ms Vilakazi stated that the Acting CEO was off sick. The Minister had had a meeting with her the previous day and the Department had received a letter from the CEO’s doctor, booking her off until 31 March 2018. She would be back at work on 2 April 2018. DSD had also received apologies from the other project managers as they were busy with the tenders that had been advertised. The Chairperson noted that she had sought an explanation from DSD as the Department was accountable for its own agency. The other matters would be raised as they moved forward. She asked SASSA to make its presentation. Ms Dianne Dunkerley, Executive Manager, Grants Administration, informed the Chairperson that the Project Manager, Ms Zodwa Mvulane, was engaged in the adjudication of the cash payments tender and had, therefore, tendered her apologies. She added that other members of SASSA were on their way and had been requested by the CEO to present a response to the questions raised at the previous meeting. At that moment, the CFO, Mr Tsakeriwa Chauke, and the Acting Executive for Corporate Services, Dumisile Ndlovu, entered the room. Ms Dunkerley stated that she would present a progress report on the SASSA payments to take place on 1 April 2018. There were three payment channels for beneficiaries in April. The first channel was the electronic payments into the personal bank accounts. There was no problem at all with that channel as SASSA had been managing that since January 2018 and the payment in April would be a continuation of what had been done. The money would be in the beneficiaries’ bank accounts before 1 April. The file had been extracted on 22 March 2018 and sent to Bankserv. The second channel related to payments using the SASSA cards with pin numbers to access funds from banks, etc. 5.4 million beneficiaries were involved in that channel and SASSA had worked with Grindrod and National Treasury – to transfer funds directly from the SASSA PMG account using Grindrod for clearing to put the money directly into the SASSA cards. The payment file had been extracted on 23 March 2018. That was an arrangement that would continue for three months whilst those beneficiaries were assisted to get personal bank or Post Office cards. The money would be available from midnight on 1 April 2018. The drawback was that beneficiaries would have to pay bank charges as those beneficiaries were outside of the contract with CPS. There were transaction costs and an account maintenance cost of approximately R10. The third channel was the cash payments at pay points. On 23 March 2018, the Constitutional Court had granted Cash Paymaster Services (CPS) permission to do cash payments only, for a period of six months. The cash payment file was provided to CPS and SASSA would sign an extension of the contract with CPS. Payment to beneficiaries would be made at the cash pay points, but only after the long weekend. There was a legal challenge to the cash payment contract that was currently being evaluated. One of the bidders had sent a lawyer’s letter requesting that the process be halted. The process was continuing. SASSA needed to look carefully at cash payments as a challenge to the contract would have a serious impact on the process. Government had made it very clear that there was no going back to court at the end of the six-month period. In six months, all contracts with CPS would be cancelled. SASSA would, where possible, migrate beneficiaries to bank accounts but there would always be a need for cash payments. A problem existed in relation to the costs of the bank accounts. Although it was an interim arrangement, it was one that SASSA was very worried about. Because it would a policy decision to subsidise bank accounts, SASSA was working together with DSD and National Treasury. The Chairperson asked how much the beneficiaries would be charged. The Committee had never had to deal with charges on beneficiary payments before and she was very concerned about it. She asked the Grants Manager if she had any idea of how much beneficiaries would be paying to use those SASSA cards at the banks. Beneficiaries had not asked to go to the banks, but they would be paying out money from their grants. What would it cost a beneficiary? Ms V Mogotsi (ANC) asked why SASSA was no longer going to subsidise the bank accounts. It was not clear why SASSA was not going to subsidise the beneficiaries. Like the Chairperson, she was concerned about the cost involved. The beneficiaries were going to suffer. Even if it was R10, R10 was a lot to the beneficiaries. Ms Dunkerley replied that SASSA had declared a dispute with Grindrod over the cost of the bankcard. SASSA was still negotiating with Grindrod but SASSA did not have a contract with Grindrod and so could not subsidise bank accounts. The dispute with Grindrod Bank did not involve only SASSA but also the Department of Social Development and National Treasury. Together the role players would look for a way that SASSA could subsidise bank accounts. It would be a policy decision. The maintenance cost of the accounts would be R10 per month. SASSA was using Grindrod to transfer SASSA money into the beneficiaries’ cards in the interim while the South African Post Office (SAPO) was finalising the physical cards that it would be giving to beneficiaries. Beneficiaries had been paying withdrawal costs but not the R10 maintenance cost. The contract with CPS was for cash payments only. Therefore, SASSA could not subsidise any banking details. The matter was being discussed at the Inter-Ministerial Committee that day. The beneficiaries using the pin were those beneficiaries who would, in future, be using the Post Office accounts. SASSA was waiting for SAPO to get cards and then the beneficiaries would be returned to a protected and subsidised environment. As soon as the cards were ready that process would be speeded up so that beneficiaries would not be paying for maintenance or transaction costs. The Chairperson said that the process was not without challenges. Beneficiaries had also received very limited grants but they had never had to pay out R10 but they would be briefed going forward. The grants had always been very limited especially in relation to the needs of the beneficiaries and to lose R10 out of what they received, was a little bit too much. Bank charges had never been a matter that the Committee had seen coming. The Committee was identifying it as a concern to Members. Ms L van der Merwe (IFP) asked what intervention SASSA would be seeking when it raised the matter with its political principals. Would SASSA be looking at the state to cover the bank charges because it was an important issue? Already pensioners were struggling with bank charges. The R10 was quite a disaster. Was she expecting the political principals to negotiate with Grindrod or for the state to cover it? She was seeking clarity. Ms Dunkerley stated SASSA was looking for policy direction and that then they, as officials, would see how they could make it work. They were hoping that bank accounts across the board could be subsidised, even if not to the full extent, particularly because government had decided to use a hybrid payment system where all available infrastructure could be used. The Chairperson said that the Committee would have to give some direction because, as representatives of the beneficiaries, Members had to be very concerned about it. The Committee would say something so that when SASSA went to their principals, they did not go just as SASSA. The principals needed to know that the Members did not accept it and the beneficiaries could not be expected to pay that R10. Ms Masango had watched an interview on television with the CEO of the Banking Association of South Africa. The Association had said that it was ready and was waiting for SASSA. Were the banks waiting to charge or were they offering something special? His tone of voice had suggested that he was frustrated. The Chairperson had also seen the interview but she thought that the Banking Association was responding to a statement by SASSA saying that they were not in control so the banks were waiting for a discussion or negotiation. But that was not in line with the things that the meeting was talking about. SASSA had been compelled by the court judgement and now people had to use the banks because SASSA had not delivered, nor was SAPO ready to take over on 1 April 2018. That had led to other amendments that had not been there before. The end result was the loss of R10 by the beneficiaries. The Committee would have to work on what it said about the R10 and also what message needed to go out to the people. People would have thought that there would have been an arrangement between SASSA and bankers but there was no arrangement. People would lose R10 and they would be asking how there were going to recover that. If the R10 was going to be deducted, how were they going to get the money back? How would it be refunded? Beneficiaries were not supposed to suffer because the management of the grant payments had been messed up. Ms Dunkerley noted the Members’ concerns. She confirmed that SASSA was in contact with the Banking Association and was discussing a number of issues with them to see how the banks could help. She indicated that she also wished to give an update on the use of biometrics. At the previous Portfolio Committee meeting, SASSA had informed the Committee that it would be conducting a pilot of the biometric enrolment process. SASSA staff would be doing the biometric enrolment and so would no longer need CPS to do it. Currently it was directly linked to the payments. SASSA was saying that it should be part of the application process, as it used to be. Successful testing had taken place on 22 March 2018 at four pilot sites. When a beneficiary came into an office, that person’s identity was immediately confirmed through a fingerprint process. In the pilot, staff had checked the identification against the Home Affairs system. The 10-finger information would be on the government system and no longer with a private organisation. The images would be given to SAPO to encrypt on the banking card that were currently being tested for operationalisation. The biometric processes were working, and results were very successful. Staff had identified some people with two IDs and had sent them to Home Affairs to get the wrong ID cancelled. SASSA was still awaiting a full report. Support services would be working over the coming weekend because payment of grants started on Sunday, even though it was in the middle of the long weekend. The call centre would be open on Sunday and Monday. Also, the software system for payments would be available so that staff could check on enquiries immediately. Staff would be visible at the big merchants over the weekend such as Boxer Superstores and Pick ‘n Pay shops. Spot checks would be carried out at the bigger ATMs. SASSA was expecting that beneficiaries would go to banks in their numbers to check that the payment had gone through. Also, additional staff would be deployed to pay points which would start issuing money on 3 April 2018 to address queries or problems. The cash file was the only file that CPS could use to make cash payments. That would ring-fence cash payments and everyone else would have to go to the banks. That process would assist SASSA in getting many beneficiaries into the banking system to reduce the number of cash payments. The Chairperson asked Ms Dunkerley to confirm that the extension was in place as result of the court judgement and that it was different from the relationship and contract that SASSA had had with CPS previously. Ms B Abrahams (ANC) thanked Ms Dunkerley for the update. She stated that the Committee was concerned. Members were happy that beneficiaries would receive their grants on 1 April 2018 but suggested that there would be challenges for the next six months. Members hoped that everything would go well in the next six months so that there were no problems when that period was over. She asked whether the biometric clearing system was a once-off as Ms Dunkerley had mentioned three months in respect of that system. What happened if it didn’t work? She was very concerned about the R10 as it was a lot of money for a beneficiary. Why had the Committee only heard about it that day and not previously? Why was there no contract with Grindrod? Why was that not arranged? Beneficiaries were suffering at the moment. She was glad that the biometrics system would belong to government, but how safe was the security system? Would there be no corruption? Ms Tsoleli welcomed the presentation by SASSA and was glad that her anxiety was going down but she was waiting for 1 and 2 April to see if SASSA would deliver. She started with the court order. SASSA had been unable to communicate clearly outside of the court. A lot of people thought that the extension covered all aspects of the CPS system. But only the cash payment system had been extended. SASSA communication was not good and that had been spoken about in the previous meeting. SASSA had to inform the public how many beneficiaries were involved in cash payments, and that it was only the cash part of the contract that had been extended. She asked that people out there be correctly informed. On the previous Friday, a lot of events had happened concerning SASSA. Could SASSA explain the R 316 million that had to be paid back to government by CPS? What was it about? Could they have more information? Ms Tsoleli wanted to know how and why G4S was issuing a legal challenge while the tender process was still unfolding. What was the challenge contained in the letter? As far as the extension of the contract was concerned, if she had listened well, nothing had changed at all on the contract, so what was SASSA paying CPS? All conditions in the original contract should stay the same. Unless there was a separate cash payment contract, SASSA should be paying exactly what it paid previously for the services of CPS. She was asking under correction, as she may have missed something. The Chairperson said that Members wanted to leave at a particular time to catch their flights so she expected Members to be quick with their questions. Alternatively, the Committee would have to decide to cut the presentation by the Department of Social Development. Ms Tsoleli said that SASSA was more important than the First Quarter Report from DSD. Members knew that the DSD presentation was important, but the payment of grants was that very weekend, so she proposed that questions to SASSA continue and be concluded then, along the way, they could decide on the DSD presentation. Members should not leave the room until they had satisfied themselves about SASSA as Parliament was going on recess and would not return until 16 April. Her last issue emanated out of the meeting that the Committee had had with the National Executive Managers from the different Provinces. She had followed up the report presented by the Free State Executive Manager. She had gone to see for herself and she was most impressed with SAPO and they would be able to deliver. She had inspected the mobile post office that the Free State Manager had spoken about and she was convinced that SAPO would deliver. She wanted to commend SAPO. That was why her anxiety was diminishing. Maybe after the first and second of April, her anxiety would disappear. The Chairperson stated that that point about SAPO would be take up when the Committee discussed the overall state of readiness. Ms T Khanyile (DA) said that she welcomed the presentation made by Ms Dunkerley. She asked about the call centre. Usually there was a charge if one used a cell phone to call an 08600 number. Only Telkom lines were free. Most people could not afford the Telkom land lines but used cheap cell phones. And, sometimes, callers had to hold for a very long time. Grants were a means of survival, so she did not think that beneficiaries should pay for the call. If Members were arguing that they could not afford to pay the R10 for bank charges, then she did not think that they should be expected to pay for the phone call. She was also concerned about the acting positions in SASSA and wondered whether the Committee would be able to engage on that matter. The Chairperson said that engagement on the acting positions depended on time and the co-operation of Members, but she was convinced that the acting positions were contributing to the problems. The Committee had previously issued instructions about filling the vacancies. Ms K Jooste (DA) asked a question of clarity. Did all the beneficiaries know whether they were registered for cash payments or not? The Northern Cape consisted of small towns and very small towns and sometimes people moved around and sometimes, there was not even an ATM so people might assume that they could go to the cash payment point. What communication had there been with beneficiaries? Ms van der Merwe thanked Ms Dunkerley, but she was concerned about the R10. The Committee was very concerned about the matter, considering bank charges, in general, and the complaints that Members had been receiving. It was unacceptable to have a situation where a very small increase in grants to beneficiaries was announced and then it was stripped by charging banking fees. She welcomed the current discussions about government subsidising not only the maintenance fee but also the ATM charges. She had some concerns about the cash payment tender evaluation process. Why had G4S had lodged a request for the process to be halted. How many applications had been received for the tender? When could they expect the new cash service provider to be appointed and onboard, maybe on a trial basis? When did SASSA envisage that they could announce who had the contract? Had CPS tendered? She believed that CPS needed to be charged with unethical business practices under the National Consumer Act. She had been appalled when watching a television documentary in which CPS officials had explained how they had received the beneficiary information and had then gone with Net1 service providers to sign up beneficiaries, especially pensioners and the disabled, for a loan and then had added life insurance and a funeral policy, and airtime. A beneficiary had discovered that one of the beneficiaries of a life policy that he was signed up for was not even a relative. If one looked at the Consumer Act, it was clear that CPS was contravening regulations about fair practices, etc. Would the toll-free number at the call centre work with cell phones? The public, and especially beneficiaries, did not understand the process that was unfolding. SASSA had to improve communication with beneficiaries, using SMS’s, meetings in the communities, etc. The Committee had spoken about communication on countless occasions. Progress was good but there was confusion. Some people were panicking that their cards would expire before 1 April 2017, even though SASSA had done some work in that regard. By when would everyone have a new SASSA card? In the process of rolling out the new SASSA card, would SASSA expect pensioners and the disabled to go into their offices or would SASSA go out to them? The Chairperson stated that the matter with G4S was sub judice as this was something that they were discussing with the Minister. She did not want the Committee to be involved in the tender processes. CPS had been in and out of court about access to information, deductions, etc. The Committee needed to know about the process in which CPS was supposed to have refunded deductions. CPS had won a case where beneficiaries had supported the company. She had spoken to people who were in a queue to take out loans and they had said that it was their right to get a loan. There had not been enough communication to expose the malpractices of CPS and so the beneficiaries did not understand that the company was not acting in their best interests. So, communication was important. She agreed that it was necessary to take up the issue, but the Committee had to be aware that beneficiaries might side with CPS and Net1. She would allow Ms Dunkerley to respond to those questions to which she was able respond. Ms Masango stated that her questions required confirmations. With the judgement of the courts the previous Friday, was it business as usual? Had SASA received, as some of the Members had, information that SASSA cards had actually expired and people were not able to transact? The card machines were declining the cards because they had expired. How many enquires had SASSA had and what was being done about it? There had been a drastic reduction in the number of beneficiaries who would receive money at pay points in the previous month. Had there been further reductions in the numbers? Had pay points been closed because of the drop-off in numbers? While one was excited that people could get money from banks, the banking thing was no longer exciting. Something needed to be done as soon as possible and the money lost had to be returned. Ms Dunkerley explained that bilateral clearing had been approved for three months. During those months, beneficiaries would either get SAPO cards or the money would be transferred directly into their personal accounts by SASSA, and not through Grindrod. It was being closely monitored but there were no challenges there. Concerning the biometrics system security, she informed Members that it was a highly secure system, stored in safe environment, and with restricted access rights. It had been set up in a way that ensured that the system would be adequately guarded. Regarding the call centre, she reported that SASSA had made arrangements that calls would be free for cell phones as well. SASSA was trying to introduce a call-back service to prevent people having to be put on hold for a long time on the first and second days of a month. The message that had been communicated was: “Go where you have always gone” (to collect your grant). Beneficiaries had been told not to change their payment behaviour in April. They had been told to go and draw exactly where they had always drawn money. Additional staff would be available during the pay-out to handle any queries. One-on-one communications worked best with many beneficiaries. SASSA was aware that the cards of some beneficiaries had not been accepted. The incidents had taken place in a small butchery and a small coffee shop. In both cases, the merchants needed to upgrade the software on the machine. The big challenge was to reduce cash payments but SASSA needed viable options. In March, there had been 2.8 million cash beneficiaries. In April, the figure was three million. Ms Dunkerley was not sure where the additional beneficiaries had come from, but the file would be cleaned up after the April pay-outs. In the meantime, everyone could access their money. Grant increases for beneficiaries had been factored in and beneficiaries would get the increases in April. The Chairperson understood that there would be no disruption to beneficiaries and everyone would be paid. Ms Tsolele said that she had checked in the Free State and the Post Office was ready, which confirmed what the provincial managers had told the Committee. The provincial heads had worked as teams with the post offices and they had reached out to traditional leaders. There was subsequently the problem that people had been told about how chaotic SAPO was and that had had a negative impact on post offices. People were complaining about the condition of post offices across the country, which was why the Committee had invited provincial managers so that they could raise those issues at the local level. Secondly, the Committee had worried about what was going to happen in remote villages and the many communities far from the post offices, but SASSA had said, in the meeting, that it was going to continue with cash. The Chairperson told how she had gone to Flagstaff and there had been a daylight robbery at the post office that day and people were wondering that would have happened if their money had been in the post office. SASSA was responsible for payments in terms of the SASSA Act and that was why SAPO had come onboard. The bank charges had to be dealt with. She was happy that SASSA was going to pay the people at the beginning of April and for that she was very happy. Members would play oversight role over the weekend. If the Members were done with the item, they could move to organisational structure issues and the positions where officials were acting, which were the issues raised with SASSA at the previous meeting. The Chairperson did not believe that performance contracts could be signed with people who were not permanently employed or who were in a temporary situation. She decided that it would not help to talk about Quarterly Reports as that was an oversight function but the situation at SASSA was a bread and butter issue and so stakeholders should not be confused with other issues. She also told Members that those who were catching flights were free to leave. Ms H Malgas (ANC) asked SASSA what arrangements had been made with the security forces for those who queued for their money at ATMs in the early hours of the morning, as the money would be available from midnight. Previously, SASSA had made arrangements to protect people who went to ATMs in the early hours of the morning. Ms Dunkerley informed the Committee that she had spoken to security services but there was no specific deployment plan. SASSA had also spoken to larger merchants to ensure that they had sufficient money over the long weekend to accommodate the numbers of people who might draw cash and that they had sufficient security. The Chairperson added that the Inter-Ministerial Committee (IMC) had been extended to include the South African Police Services and the Defence Force. If crime was increasing and people were panicking at night because they had received their grant, something better had to provided. She asked the CFO to report on the matters that the Committee had indicated at the previous meeting. She wanted to know how many people were acting in each province. Mr Chauke, CFO, indicated that he had asked Ms Ndlovu, the Acting Executive for Corporate Services and Human Resources, to assist him with the presentation. Ms Masango asked what had happened to the legal issues. Would the Committee be going back there? The Chairperson agreed that Mr Chauke could respond to those questions. Dr Q Madlopha (ANC) wanted to know what made SASSA certain that in exactly three months it would be ready to replace Grindrod. The Committee did not want SASSA to come back and say that it could not be ready in three months. Why three months? She pointed out that the items being discussed were not part of the agenda and so some members were not prepared. Also, how was the non-reporting by DSD going to affect its work going forward? The Chairperson said that the timeframes had not been determined by SASSA. It was not a crime if they finished earlier, but they could not take longer. The three-month period was part of a court judgement, but SASSA could have appealed if it was not long enough. The Quarterly Report would not hold up DSD as they were reporting on work completed. But some Members had wanted to leave early. At last meeting, the Committee had asked the CFO to bring information about vacancies, so, as Chairperson, she had to bring that up and ask SASSA to report. Ms Dunkerley spoke about the three-month bilateral clearance agreement with Grindrod. She explained that it was the bilateral clearing of the funds by Grindrod that had been approved by the Reserve Bank for a period of three months. 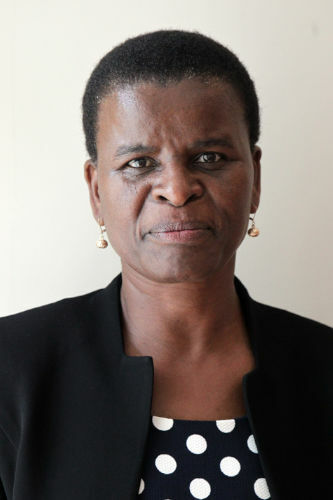 Within those three months, the 5.4 million beneficiaries currently being paid via Grindrod into their cards, would be paid either by going into SASSA’s direct transfer file through a different channel which would not need to make use of bilateral clearing, or the beneficiaries would already have received the new SASSA card and paid directly into that card. Either way all beneficiaries would be paid. The SASSA card would be rolled out from 16 March. Because there were two channels, the direct transfer file through Bankserv or the new SASSA card, SASSA knew that all beneficiaries would be paid when the bilateral clearing agreement came to an end. It gave them time to supply the cards to beneficiaries. The difficulty had been that the system could not cope with the 5.4 million beneficiaries all at once. But cash payments would continue. The Chairperson asked the Members if they were satisfied with the legal explanation but Members explained that SASSA had not yet come to the legal explanation. Ms Busiswe Mahlobogoana, General Manager: Legal Services, SASSA, provided an explanation with respect to the agreement with CPS. The agreement related only to the cash component of the entire agreement SASSA had with CPS. That component would continue on the same terms as agreed to in the current Service Level Agreement that was to be extended. However, SASSA and CPS would be signing a transitional agreement that would elaborate on what would happen over the next six months so that SASSA would be able to take over the enrolment of beneficiaries. That would be weaning beneficiaries off CPS. SASSA would inform the court of those services that might not need to be undertaken by CPS as far as the cash payments were concerned. As far as Grindrod was concerned, SASSA had never had an agreement with the company as Grindrod had been brought onboard by CPS and had not worked directly with SASSA. SASSA was currently working on a contract with Grindrod which would detail the expectations of SASSA from Grindrod and also the fact that SASSA would take over some of the beneficiaries if they elected to be paid directly through their own bank accounts or through the SAPO SASSA cards. What was critical, was that SASSA’s communication had to be more focused on what it would be doing going forward. SASSA was still going to have an agreement with Grindrod going forward as soon as SASSA received a deviation from Treasury. The Reserve Bank had already given that leeway. SASSA had written to Treasury to request a deviation, not only for Grindrod but also for CPS for the six months as per the court decision. The court could not make decisions about procurement. That approval had come from Treasury. R316 million had been paid to CPS by SASSA during 2012 to register all the beneficiaries. At the time there had been 9.5 million beneficiaries but, the agreement stated that CPS also had to register 11 million children. CPS had counted the children as additional beneficiaries, although it was in the contract. She had heard that CPS, or its mother body, Net1, would be appealing the judgement. The Chairperson hoped that clarified legal matters for the Members. She noted that the R 316 million had not yet been returned because an appeal was pending. She was happy as long as funds came back to the poor. Ms Abrahams felt that she was becoming pessimistic. If the issues relating to the Grindrod cards were not resolved within the three months, what would happen to those beneficiaries as most of the cards were attached to loans? How would that be handled? Ms Dunkerley explained that the card would continue to work and that it was only the bilateral clearing between SASSA and Grindrod that would come to an end after three months. SASSA would continue paying into the card, but the banking channel would change from the bilateral channel to the Bankserv payment channel. Everyone would still be paid. The Chairperson asked if deductions, illegal insurance policies, and other things would be prevented, during that three-month period. Ms Dunkerley stated that the new account was specifically set up so that no EFT deductions could be made at all. That protection would be provided for beneficiaries as they moved to the new cards. If someone wanted to take a loan or take out a policy, it would have to be done outside of the account that was subsidised by government. The Chairperson wanted to explain to Dr Madlopa where she was coming from. She stated that the Committee was dealing with those challenges because the engine, that is the organisational structure of SASSA, did not have stability. The Committee could try everything to correct mistakes but those who worked in government would agree with her that an effective staff line was essential in order to penalise people when they went wrong. Officials also had to sign contracts. But in SASSA, there was instability. At the last meeting, the Committee had noticed about seven or eight of the members of the executive in SASSA were actors, i.e. acting in their positions. So, the Committee wanted to know how it had come about that so many people were acting. How could they work professionally when they were not permanent? The Committee needed a professional organisation to manage beneficiaries. It was not criticism, but a concern. What needed to be done to ensure that SASSA was not found wanting? Ms Dumisile Ndlovu, Acting Executive for Corporate Services, SASSA, attempted to explain what had led to so many acting positions. In 2015, when SASSA had advised the Constitutional Court that it would take over the payment function, SASSA had to get ready. The Agency had to transform and the new structure had to be informed by the revised strategy. The structure had to be refigured to support the strategy. From a human resources planning point of view, it meant that the Agency had to skill and reskill, and skilling and reskilling did not necessarily mean going to courses, but people had to be placed strategically where they could perform and where they could also be extended at different levels of environment for them to gain experience. Most of the acting positions and secondments happened in that context. Upon realising that SASSA was no longer going to take over, the strategy had to change again. By that stage, SASSA had already informed the Department for Public Service and Administration of the new posts the wanted to create and the new structure. So, therefore, people had to act. She pointed out that she was reporting on the past two years. Upon realising that SASSA was not going to go the route of insourcing the entire payment function, the Agency had started to advertise the posts. SASSA had advertised twice already and was busy filling posts. Limpopo and Northern Cape had posts that had long been vacant. Advertisements had been posted and in the Northern Cape, the successful applicant, who had been approved by Cabinet, had a court case pending, which did not go well, so that position had been re-advertised. No suitable candidates had applied for the post in Limpopo. That post had been vacant since 2009. The Chairperson said that it was very concerning because the objective of a particular programme informed organisational arrangements. If an organisation did not have suitable people, how could they do the work? The Committee did not know if they had interviewed a particular person or what that person could do. The incumbent could not be enthusiastic because they were neither here nor there. The Committee had complained that Programme 1 had not been audited. Members had asked the Auditor General if the engine room was not audited, then how they could know that other departments were correct. The Committee wanted to know the costs incurred for S & T (subsistence and transport), for travelling and for accommodation. Ms Khanyile was alarmed that a candidate had been recommended but the person could not be placed because the Agency had to wait for a pending court case. Was that the only person who had qualified for that position? Did SASSA not have a ranking system so that if the first candidate was unavailable, the position went to the second candidate? Did that mean that SASSA had waited for someone to go to court? What was the situation regarding the position in Limpopo that had been vacant since 2014? Was SASSA waiting for a person to go to court? She also noted in the presentation that in the Eastern Cape, short-listing had been in process since March 2017. Why were the vacancies not filled? Ms Abrahams concurred with her colleague. She asked if the positions were open to South Africans citizens because it sounded as if the positions were reserved for certain people. What was the criteria that made the positions so difficult to fill? It demoralised the staff when people had to be in acting positions for so long and when the position was advertised, that person did not qualify. Why would an organisation have a person acting in a position for three to four years when the person was not qualified or competent be appointed to the job because that person was not qualified or competent? The S&T’s were very costly. One could purchase a new vehicle with the money spent on S & T.
Ms Malgas stated that the Committee needed to see the advertisements for the position. What was extraordinary about it? She could not believe that, in the whole of South Africa, there was not someone who could fill the Directors’ posts. It seemed that the posts were earmarked for certain people. The Chairperson noted that even the Executive for Corporate Services was acting. She did not buy the statement that if an organisational structure was not approved, one could not appoint. SASSA was caught up in a dark position because there was no accountability in the organisation. There was no accountability because people were temporary. Especially when they were moving towards retirement, they wanted to take care of their integrity. They did not want to bring something in that said that they had been useless. The Committee would be found wanting when they had oversight of an organisation that did not comply. If one talked about Annual Performance contracts, a person could not get a bonus if he did not meet the targets agreed upon with his supervisor. It there was no structure, who reported to whom? The COO reported to the CEO and so on. How did the organisation operate if nobody knew who was reporting to whom? It sounded like they were in disarray. SASSA was going to have to answer but she knew that Members would have no joy. Ms Ndlovu responded that she could not bring in people from outside on contract, so she had to use people from within. The structure could change and, therefore, she could not fill a position at the time that they anticipated a change of structure. Ms Tsoleli said that the Committee had been asking the DSD for a structure. The posts were there and the organisation could not operate without some of those posts, such as Corporate Services. Could Members please be taken seriously? Why were the posts not filled? The Committee needed honest answers because otherwise it led to suspicions of nefarious activities. The Chairperson asked why the structure could not be approved or amended. The Committee could ask DPSA. When the National Education, Health and Allied Workers Union (NEHAWU) was on strike, NEHAWU members had come to her and had given her information and that had included matters relating to those the Committee was discussing, but the Committee had not taken it up because DSD was engaging with SASSA. How did an organisation take someone from one position to act in another, and then someone else acted in that person’s place? She was frustrated about how Parliament worked. That very weekend the Committee had heard from young unemployed people and SASSA could have employed at least one of them. She was beginning to have a sense that the looseness of the structure had a hidden reason. A CEO had to act; he or she had to be responsible for his or her actions. But the acting person did not know when he or she would not have a job. The future of SASSA was compromised by operating in a loose arrangement and when the organisation could not even put its principals in place. The Chairperson had spoken to the Acting CEO the previous day. She was in bed because she did not understand why the court had said that she had to account for what she had not done. The Chairperson had previously explained to her that she, the CEO, would be responsible for the outcomes of her actions. She was very, very emotional about it. She could not find a reason for her being held accountable for things that had gone wrong. How could officials not be clear about line functions? People thought that MPs were so big and so proud that they just wanted to punish those beneath them. It became a problem for everyone when the Committee was concerned because government organisations were not responding to what was out there. When MPs raised their voices, it was about wanting to see good work done for the people. She did not think that the Committee should pursue the matter further, but she would allow Ms Khanyile to speak. Ms Khanyile said that she did not think that there were answers. She suggested that the regional directors/provincial managers should come to the Committee with their own organograms. One would not believe it, but even the cleaners were acting in SASSA. All the managers were acting. The Committee had to go deeper. Junior managers were acting and even those below them. SASSA could never be a stable organisation when everyone was acting. Someone had done it deliberately to keep the organisation unstable. Once the organisation was unstable, a person could do anything in that organisation. They would see how serious the courts were when the court got into their pockets. She was pleased that people had to pay for messing up SASSA. They had to take responsibility for what they had done. It was a pity that she was an MP because otherwise, she would have been a friend of the court and would have told the court to get rid of those people. How could the country move forward when there were people who did not respect the public purse? A lot of things needed to be moved forward in the country, but it could not be done because some people did not respect the public purse. She proposed that the matter be closed. The Chairperson noted that she had interrupted Ms Ndlovu when she was answering a question. She asked her to please respond to the question. Ms Ndlovu explained that the person who had been recommended for a post in the Northern Cape had not had a case against her. She had had a case against the government. Cabinet had felt that that matter should be resolved before she was appointed to the post. Cabinet made the appointments. She also wanted to bring it to the attention of the Committee that appointments were the responsibility of the political head of SASSA which was why sometimes took a long time. The political head had to determine the people on the selection panel and to determine the people who were shortlisted. The political head chaired the .. The Chairperson stated that she could cut that explanation short. The political head was in a cluster and so could go and ask colleagues to put everything aside to resolve a crisis in employment. There was nothing and no one that Parliament would not challenge; even the President. Even the President had to be effective. She explained how she had worked when she was an MEC and how she had ensured that the work was done. She had gone about getting colleagues to be available and getting colleagues to sit on the panel. When the Executive Authority had a meeting with top management at SASSA, those were the problems that had to be discussed. What did the top management raise at the meetings with the Executive Authority? How did the Executive Authority evaluate the performance of top management when posts were not being filled? She thought that the Committee should call for the Performance Agreements of top management for 2018. Ms Masango appreciated that the issue could not be dealt with at the time, but when the Committee did deal with it, she asked that more information be provided. If one looked at the position of the Corporate Services Executive, one was looking at someone who had been acting in a post that had been vacant for 10 years. What were the implications for someone who had been acting for nine years? 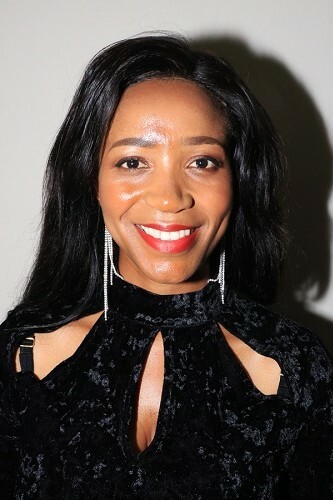 Ms Ndlovu refuted the assumption that she had been acting for nine years. The COO position had never been filled. When the Committee did discuss the matter, she wanted a legal opinion on the position of acting officials. Even those responsible for oversight were in trouble. The vacancies were the very reason for the crisis because the organisation had not been functioning normally for a long, long time and yet the Committee had been frustrated by the hiccups. Someone had called SASSA a shop, and not a government agency. Two meetings ago, the Chairperson had suggested a full parliamentary inquiry. Each piece of paper revealed more problems so the Committee needed to ask itself what they, as Members, had done in respect of taking the inquiry forward. The one piece of paper about acting posts in SASSA revealed everything. The Chairperson asked the Corporate Services Executive if she was permanently appointed in her position. If not, how long she had been acting? Ms Ndlovu replied that she had been in the post for two and a half years and that her acting appointment came to an end on 31 March 2018. Her own position was vacant. The Chairperson asked the CFO to inform the Committee how much it had cost SASSA to pay for the acting positions. She did not need names but simply an overall figure of costs. Thereafter, she would have a planning session with the Committee because the Committee had responsibilities and was responsible for oversight. Ms Abrahams enquired whether most of the posts were contract posts of five-year periods. Were they permanent or contract posts? She remarked that, for acting officials to be in posts since 2009, was a very long time. Ms Tsoleli said that she wanted to add a rider in terms of the legislation of the country. The Committee needed to speak to the lawyers. Legislation talked about it being illegal for people who were in acting positions to act for more than a year. It was wrong to make a person act for a long time. That uncertainty was wrong. Members said that the government was a caring government but that situation was wrong and the Committee had a responsibility to address the situation. The Chairperson noted that the Members had added comments rather than questions. They were expressing their frustration. The Committee needed a way forward so they needed a meeting to finalise. She asked CFO for the total amount. The CFO had not extracted travelling as a benefit but acting allowances came to R3 million. Travelling, which included normal travel costs, stood at R4.5 million. The Chairperson asked about the amount spent on hotels when people were acting in different cities. Government paid for accommodation for people who were stationed away from home. She knew that when someone was deployed, government was expected to accommodate a person for three months. How much had SASSA lost on accommodation bills? Mr Chauke stated that SASSA had spent about R4 million on accommodation since the positions had become vacant. Where the acting happened in the same region, there were no accommodation costs. Only the salary had been adjusted. It was when people taken from a region to head office that they had to be accommodated. The Chairperson commented that it seemed that SASSA preferred to keep acting officials in the same region. She asked about Mr Bandile Maqetuka and Ms Sibongile Setlaba. Mr Chauke noted that Bandile Maqetuka had been moved to the Western Cape from the Free State and had been permanently employed in the Western Cape. Sibongile Setlaba had been moved from KwaZulu Natal to Gauteng and then to Free State, where she was currently. Her acting appointment was for six months. Zodwa Mvulane was acting and was accommodated in a hotel. When the acting arrangements had been made, they had been made for six months, which was too short for a lease. They were looking at accommodation for R20 000 to R30 000 for the rest of her secondment, which excluded cleaning services. There had been extensions to her original secondment, but never a long-term arrangement. Only now had SASSA extended Zodwa’s contract to 2019. However, furnished accommodation was very difficult to get. The Chairperson stopped Mr Chauke as the Committee did not need details. She spoke at length about her stay in bed and breakfast when she was mayor of Umtata. She stated that the thing of paying so much for acting people to stay in hotels should never happen again. She stated that SASSA did not have much money and was saying that it was almost bankrupt but money was going to waste on travelling and on accommodation because SASSA had not done things correctly and made permanent appointments. The Committee could not let things go on. Ms Tsoleli said that she thought that Zodwa was there only for the project, so how could she be appointed and accommodated until 2019. Mr Chauke explained that Zodwa had been responsible for change management. Work had been done in change management in terms of the direction that SASSA was taking so when he looked at the timeline, he became aware that the project would be ending in January 2019. The acting appointment had been aligned to that kind of a delivery date. The six-month extension of the CPA contract had taken SASSA to September 2018. He had had a meeting with the Minister about the same issues that the Committee was asking about and she had asked for the all information relating to the organisation. He believed that when the Minister briefed the Committee, she would be able to indicate the direction that SASSA would be taking in the future. He believed that the Chairperson would agree that the matter could be left at that level. Ms Tsoleli said that the Committee needed to have a bilateral with Minister. In a previous meeting, the Committee had asked what had happened to the executives because SASSA had executives more senior than Zodwa. The Chairperson asked how they had come to that point. Zodwa was not an executive and the Committee wanted to know why she was included as an executive. The CFO had said that Zodwa was an executive, but she was not. Mr Chauke confirmed that Zodwa was an executive. She was responsible for North West region. Someone was currently acting in her place in North-West. The Chairperson could not understand so many people with qualifications in South Africa could not get jobs. She could not understand why the posts were being kept for themselves. Departments re-cycled people. Those who were in government posts, found other government posts. One saw people popping up in different departments. But those who were outside, never got in. Ms Abrahams stated that she had asked previously about consequence management. If consequence management was not adhered to, then what happened? Government regulations said that poor performance could be escalated and that specific procedures had to be followed. An option existed that an official could be moved into another position which was simply, in the Committee’s terms, recycling. How, if someone was not good enough in one position, was that person recycled into another position? If there was performance management in South Africa, SASSA would not be struggling to find people to take over from all the acting positions. The Chairperson thanked everyone and apologised to DSD for not taking their presentation.